Modern construction business entrust most of their vital operations to sophisticated on-premise and cloud hosted solutions, which not only help estimate and execute products, but also control costs, schedule jobs, and aid communication. A smart construction system enhances productivity in a variety of ways, coordinating projects from beginning-to-end, sourcing project leads, estimating architecture, design, and building costs, and most of all – assessing the risk of each and every deal. Compact construction packages will even come with visual tools for architects and engineers, helping them draft sketches and direct execution without the need of a dedicated program. Regardless of the device they are using, they will have all project data displayed in a single system, and be able to comment and share files from the same dashboard. But are all construction management systems this good? The unfortunate truth is that they are not, and that even if they were, they still wouldn’t correspond to the needs of every construction business. This is why it is imperative to approach the selection process with carefully listed criteria, and purchase a system whose capacity you can optimize in various aspects of your construction business. To stay on the safe side, you can also turn towards one-size-fits-all construction management software, namely tools that are flexible enough to adopt your modus operandi. We’ve considered three of these systems’ leaders and brought them to your attention, comparing in detail what they can and cannot do for your business. 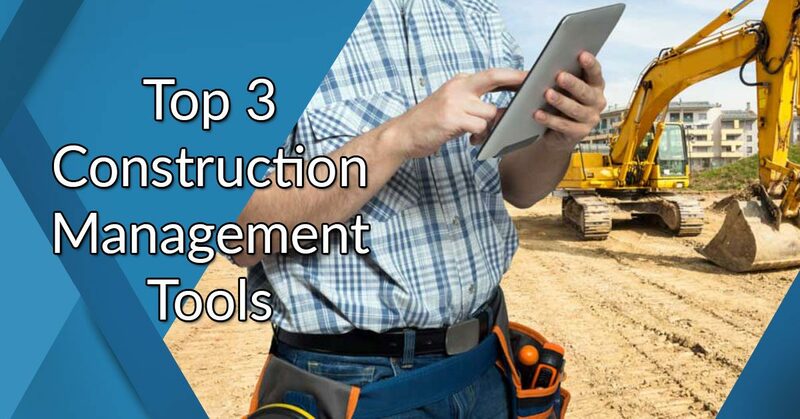 What are the top 3 construction management systems? CoConstruct is a leading home builder & remodeler suite for businesses and sole professionals, designed to coordinate projects and communication, and control all costs and related financials. In its role of a unified digitized building & planning solution, CoConstruct prides itself with unparalleled versatility, and a number of unique features that keep modern businesses on track with industry advancements. As expected, CoConstruct is also a master of configuration flexibility, and is thus enabled to ‘do its magic’ around simple terrace makeovers and huge corporate projects. Once we give it a closer look, CoConstruct will likely reveal the exact same features you are looking for. The vendor also offers a great free demo that will show you all the key features of the software in action. You can easily sign up for CoConstruct free demo here. CoConstruct’s functionality revolves around three essential modules: Coordinate, Communicate, and Control. The first module is in fact a project management menu adjusted to construction administration, and lets you create smart to-do lists and track the progress of your jobsite activity. What is unique about this module is the variety of successful bidding features, in particular the strong warranties and punchlists which will easily give you a competitive edge in the industry. The Communicate module is entirely devoted to team collaboration, making it possible to gather the knowledge of all team members, and submit well-informed, quality proposals. Last, but not least, the CoConstruct Control module keeps a sharp eye on finances and expenses, manages your budget and forecasts project costs, and integrates easily with a number of popular accounting applications. Put activities in order, and help you understand all files, specs, and prices related to each project. Employ quick editing to allow agents to build specs in seconds, and to avoid costly mistakes. Create successful bids in minutes by letting all specs and estimate data flow inside them without you having to enter it manually. PlanGrid is another popular blueprint app for construction businesses that made its way to the top of most prominent CM classifications. Arranged and distributed as a multi-functional productivity suite, PlanGrid fills in many gaps in a usual working day of a construction agent, as it connects field, trailer, and office works with up-to-date blueprints, markups, punchlists, and RFIs. You can rely on it to plan, monitor, and execute projects in a variety of industries (civic, commercial, healthcare, industrial, education, and more), and produce accurate PDF reports on all your activities. PlanGrid is also an excellent choice for large teams in need of a single administrative console, as managers are given a special hierarchy scheme of roles and permissions to decide who can access information, and what he can do with it. In a fashion similar to CoConstruct, PlanGrid has built a number of important external partnership, and will hence let you rely on third-party applications to manage all aspects of your construction business. The system, however, lacks much of the bidding preparation capacity of our list’s leader, as it focuses primarily on clients’ projects that have already been arranged. Act as a unified RFI (request for information) solution that takes care of the whole lifecycle of an RFI. With several independent and connectable functionality modules, Autodesk BIM 360 is another safe choice to enroll on the ‘it will work’ list. Developed primarily with the idea of connecting office and field management in construction environments, Autodesk has just the right tools to ensure timely and successful project delivery. Project managers, however, are not the only group entitled to 360’s benefits – this system works evenly well for subcontractors, virtual construction managers, engineers, teams, and superintendents. The core of the system is Autodesk BIM Layout, a compact robotic station that streamlines the construction layout process. The other available modules that enable ahead-of-schedule accomplishment are: Glue (online/offline multidisciplinary module that reviews intelligent object properties and makes simple measurements); Team (a module for architects, engineers and their project stakeholders which centralizes information storage and ensures easy access for team members); Docs (a single app that can publish, manage, review, markup and approve all project plans, models and documents); Plan (tracks team work and commitment); Field (runs QA/QC, safety, and commissioning checklists); and Ops (a mobile-first building maintenance solution that migrates asset data). Comparing the compactness of each construction management kit, we’d give slight advantage to CoConstruct as an end-to-end project management suite oriented towards diverse businesses. The planning-to-submission system doesn’t focus on technicalities, but enables a streamlined connection between your office and field agents, and manages each and every aspect of your projects’ accomplishment, with finances included. The system is also a unique provider in the industry to help you prepare successful projects, bid independently and up to your own rules, and make your brand more visible in relevant environments. The system uses a drag-and-drop mechanism to create bids and enter estimations at once and within minutes, as all specs and estimate data will flow inside them without you having to enter it manually. Plus, they will be stored and updated directly in your database, so that you will avoid expensive mistakes and unnecessary delays. This also means that you can submit a bid independently, and without waiting for trades to make their move. To facilitate the process even more, CoConstruct will supply you with warranties and punch lists, as well as a fully featured marketing & branding kit. PlanGrid, on the other hand, is designed as a request-for-information and blueprint application for contractors and designers, and which accomplished most of its functions during planning and execution. The system is very visual, and uses the highest technology to put construction plans into action. Users will also be allowed to use punch lists to capture photos, locations, and notes from the field, and share those from the very same dashboard. Last, but not least, Autodesk BIM 360 combines a multidisciplinary and modular system similar to the one of CoConstruct (building your own package) with a robotic total station that streamlines the construction layout process alike the one of PlanGrid. More precisely, it lacks the bidding & proposal submission module CoConstruct is mostly known for, but compensates for it with its overall presence from conceptual design to handover. In terms of usability, Autodesk 360 BIM is pro-oriented and has the longest learning curve, followed by PlanGrid’s advanced feature and CoConstruct as the most beginner-friendly option. When it comes to financial controls, CoConstruct has the advantage of owning a separate budgeting & accounting plan, and maintaining a streamlined connection with QuickBooks that helps you bill and invoice your clients. The system allows you to forecast project costs, track change orders and expenses, and streamline bidding with single-entry estimations. To achieve the same, PlanGrid and AutoDesk BIM 360 rely entirely on third-party systems and applications. If interested to enhance collaboration within your working environment, you won’t go wrong with any of these systems. The three systems are teamwork-friendly, and all of them specialize in making communication easier, (with CoConstruct being the one that does so within and outside of your team, for external contributors and partners). The systems trigger mobile notifications on recent updates, gives contributors the chance to exchange files and opinions and monitor the progress of different projects, and to have their tasks assigned within an online, modifiable schedule. All three systems rely heavily on their accounting partners’ armory to enrich project management with end-to-end financial controls. CoConstruct, for instance, connects automatically to Xero and QuickBooks accounts, while PlanGrid and Autodesk BIM 360 come with an open API architecture for developers to build custom integrations. Advantage should be given to Autodesk BIM, as its Ops Module is entirely devoted to crafting homegrown applications, migrating asset data, and building models from BIM 360 Field.  Note that all tools integrate seamlessly with leading social networks. To manage easily the work of your field agents, you will receive native Android and iOS apps and a fully optimized mobile version in all three cases. The pricing scheme of our construction management leaders are very diverse, shifting from fixed enterprise pricing plans to custom-tailored packages that correspond to the client’s exact needs and requirements. CoConstruct and PlanGrid, for instance, offer moderate monthly payment plans designed to cater to clients from different market tiers, and which differ from each other depending on their features and access to customer support. CoConstruct, for instance, is made affordable to both SMBs and construction enterprises, given that it comes with a basic construction package priced evenly for all users ($99/month), while larger businesses are invited to contact sales support for an individual quote. The decisive criteria in the case will be the list of features they are about to build, and the modules they wish to include within their CoConstruct package. Autodesk BIM 360 handles the matter in a similar way, but offer no basic fixed plans. In this case, all prices are custom-calculated, and depend on the number of modules the client wishes to acquire. The only system of the three with a fixed pricing scheme is PlanGrid, where packages are adjusted to the needs of small, medium, or large businesses. You can choose any of the Nailgun, Dozer, or Crane packages, and pay an amount between $39 and $119 a month. Features are basically the same in all packages, but they support a different number of sheets (550, 5000, or unlimited). With CoConstruct, you will have 24/7 live chat access to a team of knowledgeable agents, and you will also be able to submit inquiries via phone and email, or using their online ticketing system. The company also offers a robust database of tutorials and training materials, so that you can learn independently how to optimize the power of this system. In a similar fashion, PlanGrid makes it possible to contact agents via live chat, phone, and email, but doesn’t have a ticketing system in place. AutoDesk BIM 360, on the other hand, offers only training materials and support tickets, but its agents are very well-reputed for their immediate responsiveness. You can also learn more or reach all of the companies through their social media profiles (Facebook, Twitter, and LinkedIn). In all three cases, access to customer support will not be limited by the pricing scheme you’ve chosen. Still haven’t decided which solution to pick? The most sensible next step is to see each one in action. You can easily sign up for CoConstruct free demo here.